Home Tags Posts tagged with "Emomali Rahmon"
At the mention of Tajikistan, most people draw a blank. Is it a country? How do you spell it? Isn’t there a war going on there? Its -stan suffix, vastly considered pejorative in Western mentalities, doesn’t inspire confidence. Among the few who’ve heard of it, the country’s mostly famous for being Central Asia’s drug trafficking hub—not for its food. Add to that the threats of typhoid fever, dysentery, and other stomach viruses, and traveling to Tajikistan might be an experience that your stomach won’t forget any time soon. I’m not the only one to stir controversy. Popular Ukrainian television show Oryol i Reshka shot an episode in Tajikistan a couple years ago, and even though the program was by and large positive on the country, many locals felt otherwise. Will my own little series shed a different light on a country too often mocked by neighbors and visitors alike? Time will tell. Meanwhile, if you ever decide to go there yourself, here are a few things you should know. Embassy Clerk #1: Vat iz your name? Embassy Clerk #1: Vere do you call from? Embassy Clerk #1: Vat do you vant? Me: Can you tell me what documents I need to send you, to get a tourist visa? Embassy Clerk #1: Vat have you heard? Me: Letter of Invitation, photos (etc…). Can I speak to the consular department? I have only one quick question. Embassy Clerk #1: Vat do you vant to ask zem? I surrender. I explain. The consular rep comes on the phone (I can easily imagine that he sat less than 10 feet away). Embassy Clerk #2: I called you yesterday, I do not know vere you vere. 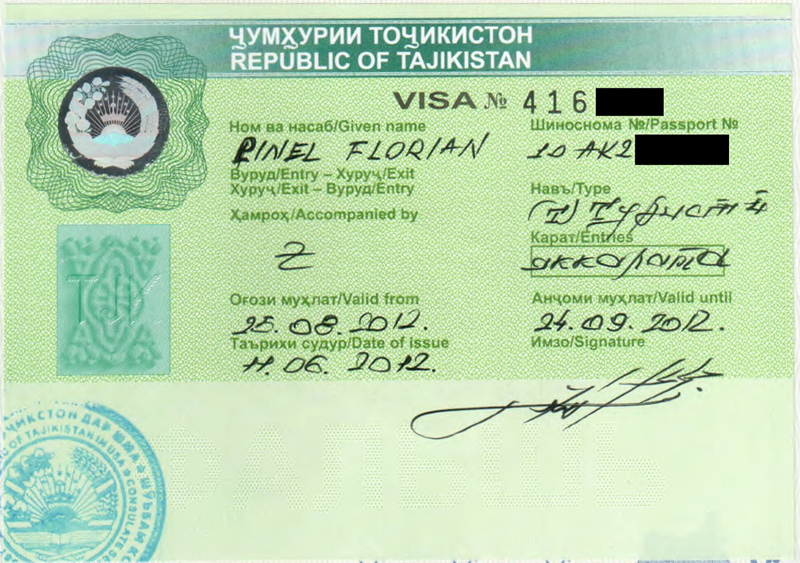 Okay, you got your visa, you crossed the Tajik border, and you’re ready to rumble. Let me give you a life-saving piece of advice: how to find the hospital. Wait, what? 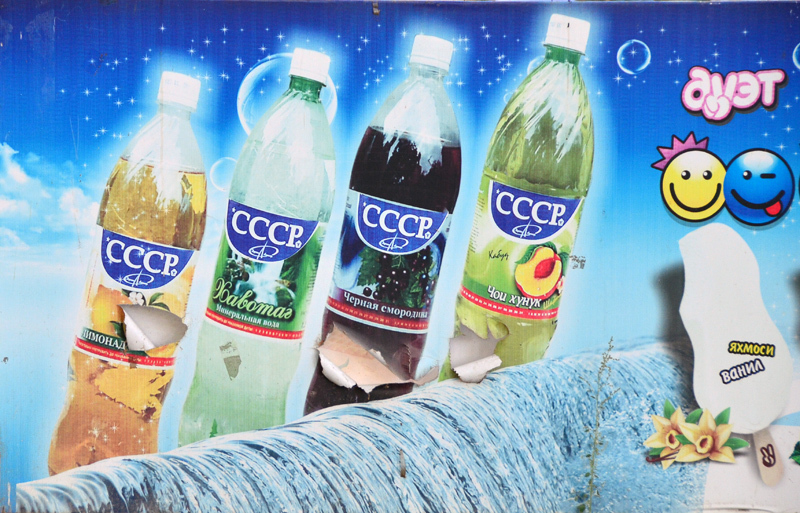 You see, if you leave the relatively sanitized comfort of Dushanbe, chances are that sooner or later — and probably sooner rather than later — those kebabs and fresh tomatoes you ate for lunch, that fruit you bought at the market, or that water you used just to brush your teeth will make a persistent impression on your intestinal tract. Maybe those stomach pills that your doctor prescribed to you back home when you went to get your Lonely Planet-endorsed malaria and typhoid vaccines (of course you didn’t forget those, and you checked that the two vaccines can be taken at the same time, which isn’t true for all of them and which your doctor may not have verified) will work. Maybe not. In the latter case, head straight back to Dushanbe, as you certainly won’t want to be treated in a countryside hospital in Tajikistan, and look for the Shifo Medical Center. An actual street address is useless, as I’ll explain below, but just in case GPS technology makes it to Dushanbe some day, it’s 3 Lokhuti Street. What you need to know is that it’s near “the brewery” (okolo pivzavoda in Russian). Even if the brewery closes, is torn down and replaced by an office building (fat chance), it will still be known as “the hospital near the brewery” for a couple of generations, so that’s what you should ask for. There are other hospitals, but the Shifo Medical Center comes highly recommended by several embassies. So ignore the occasional razor blade on the floor in the hallway, do not accept glasses of tap water from the nurses (you’re there to get better, not worse), and do not let your delirious state and the dwarf at the reception lead you into believing that you just landed on the set of Twin Peaks. You’re in good hands. 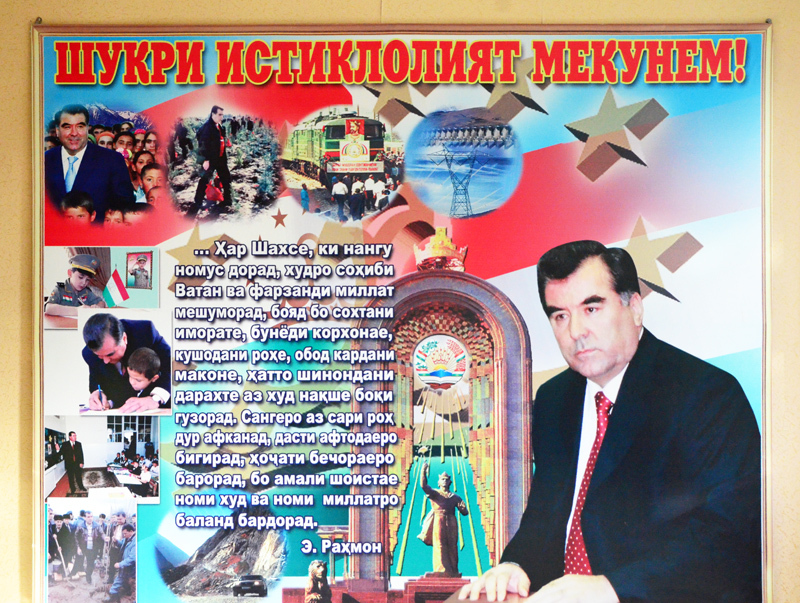 Finally, let me brief you on a few idiosyncrasies of modern Tajik culture. They might take some time to get used to, but at least you’ll be aware of them! Number 1: the Tajik does not smile. Be warned. The last smile you’ll see is the grin of the corrupt Uzbek customs officer when he gets his bribe (assuming you’re entering the country by land, which is not a bad idea and leaves you the option of turning back whenever you want without the burden of a plane ticket). No, the Tajik does not smile. Unless you talk about the USSR. 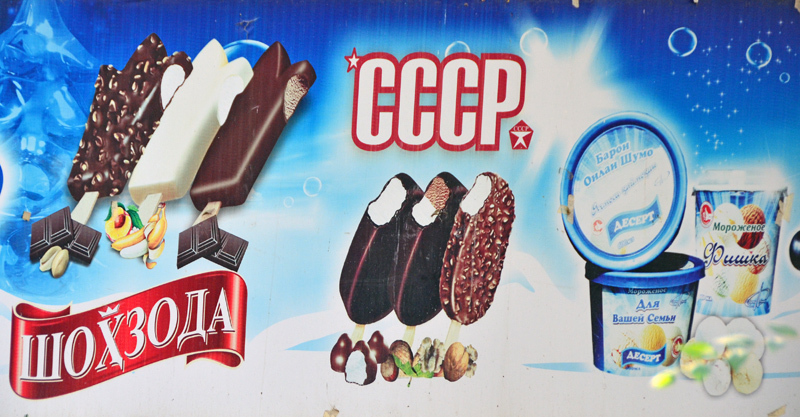 The Tajik loves the USSR. 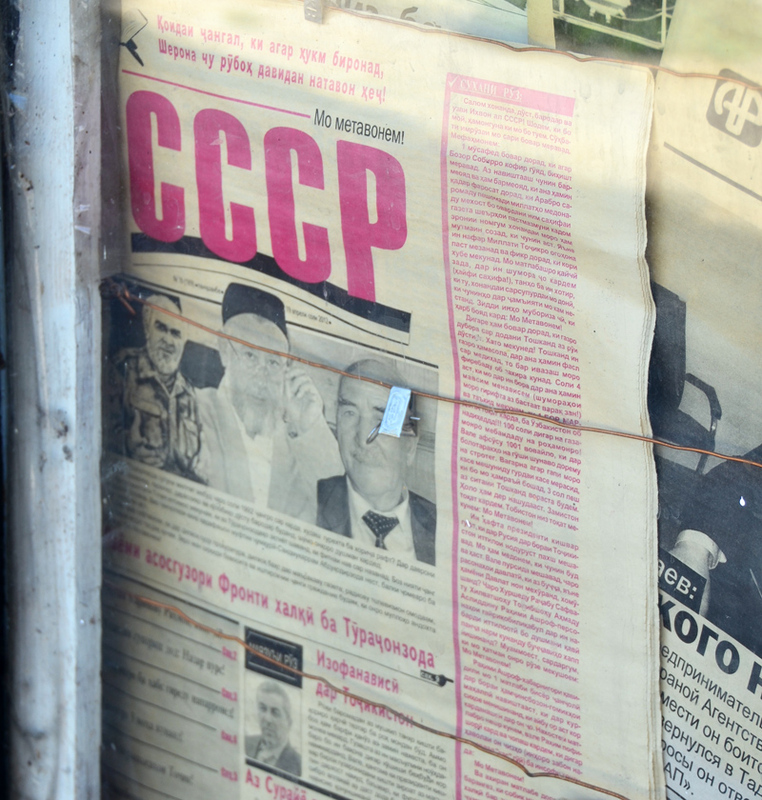 Sure, 1991, independence, freedom, blah blah blah… But deep in the Tajik’s heart, the USSR was the golden age; when making decisions was seldom necessary, and working only slightly more; when life was predictable, and the future bright. So you can scream “Yuri Gagarin” on the street and passersby will smile. Start singing the Soviet anthem, and people will form an impromptu choir around you. If you get in a spot of trouble (and keep in mind that all of the three Olympic medals that this country has ever won were in combat sports), you can almost certainly talk your way out of it by interjecting a good word about the USSR. In fact, Oryol i Reshka‘s biggest mistake in their Tajikistan episode was probably to comment that “it feels odd to realize that only 20 years ago we shared a country with these people”. By saying so, they demean Tajiks’ main source of pride and joy: their relentless, glorious participation in the Soviet utopia. And I can see why Tajiks are so nostalgic about the Empire. Democracy didn’t turn out to be exactly what Hollywood advertised. 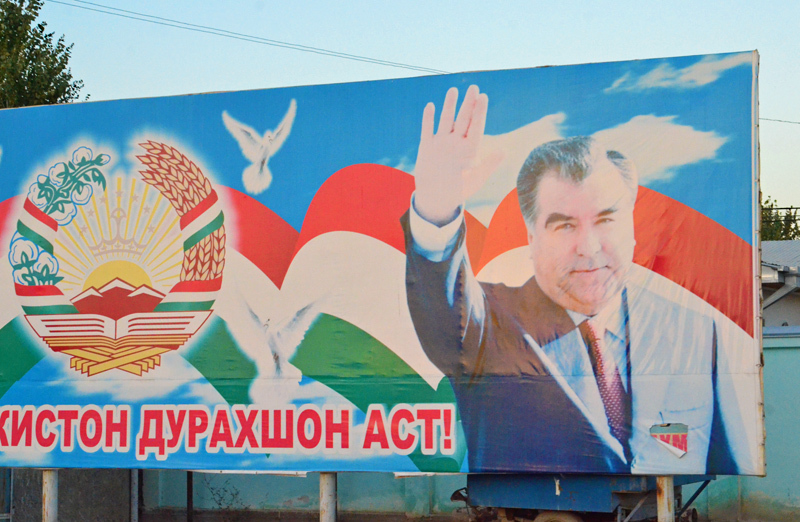 The first elected President of Tajikistan, Rahmon Nabiyev, was First Secretary of the Communist Party of Tajikistan in the 80’s, until he was ousted in a corruption scandal. As president, he remained in function for 6 months. His refusal to share power with the country’s various other clan-factions, coupled with an alcohol problem and a propensity to escalate conflicts rather than resolve them, led to a civil war that lasted five years and claimed around 100,000 lives. Following these events, the position of president was outright abolished for several years. Yep, the parliament concluded that they were better off without a president. Eventually, in 1994, after another constitutional change, a second president was elected, Emomali Rahmon — also a former apparatchik. He decided the country had had enough of this democratic masquerade, and declared himself president until 2020 (though he still organizes elections just for the theatrics). 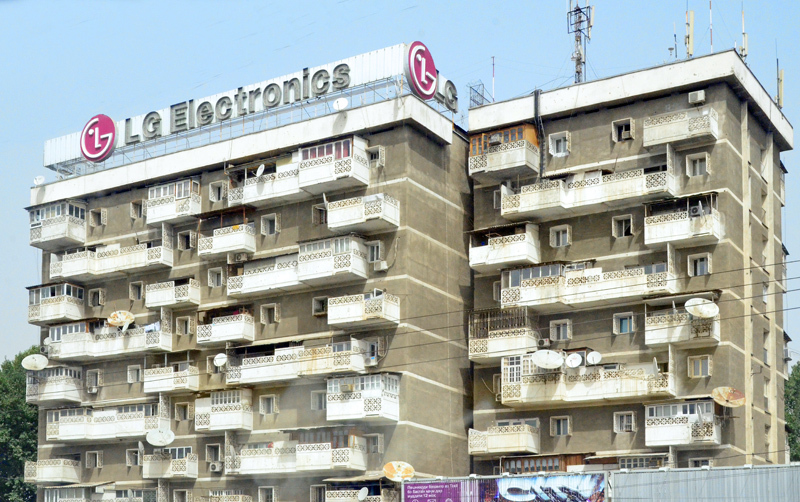 Number 2: the Tajik does not know street addresses or directions. And yes, this applies even to taxi drivers. They will not admit it to your face, though they won’t be able to hide it for very long. Their usual tactic consists of driving straight ahead in the hope that you’ll either recognize your destination along the way, or the problem will solve itself somehow. If you insist, they might stop to ask someone else for directions, though it rapidly becomes clear to all parties that this is futile — nobody knows jack. If you see that you’ve obviously been driven miles away from the city center, start yelling and they’ll make a U-turn. They might also try to lure you into going to a different destination: “Are you sure you’re going to the hospital at 3 Lokhuti Street, and not to Hospital #3, or School #3, or Cafeteria #3?” Resist, as schools and cafeterias don’t treat dysentery. I’ve met Dushanbe taxi drivers who don’t even know the name of Dushanbe’s main street (it’s Rudaki Avenue). Pedestrians will meet the same fate. 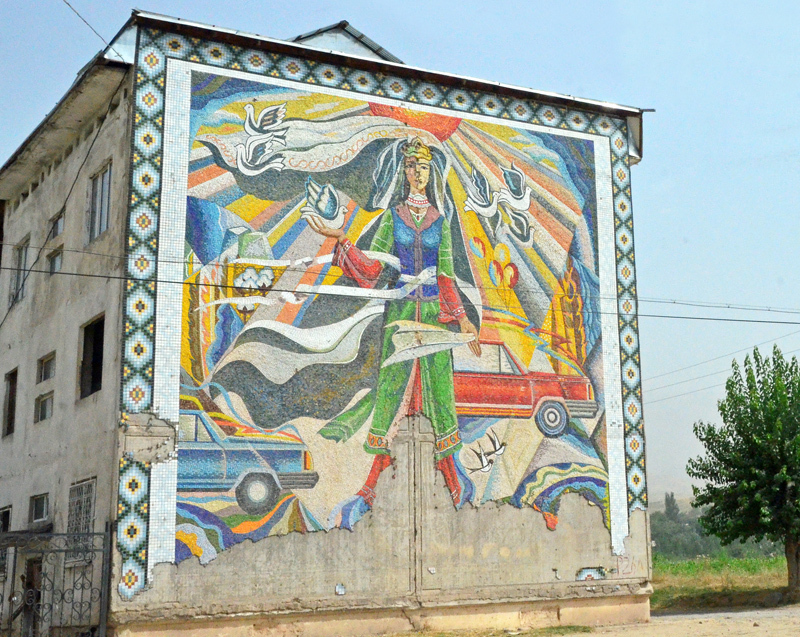 Don’t try to ask directions for a museum, for no Tajik has ever set foot in any of them. Here’s the secret to get more or less where you need to go: landmarks. Don’t ask for “3 Lokhuti Street”. Instead, say “the hospital near the brewery”. Even proper names don’t often help; the phrase “National Museum of Antiquities of Tajikistan” will only get you blank stares. Try “Tank Monument” instead. Now, I can’t tell you exactly what constitutes a landmark, so you’ll just have to name all the buildings you see on a map within a half-mile radius. Don’t worry, you won’t have to play this game too many times. 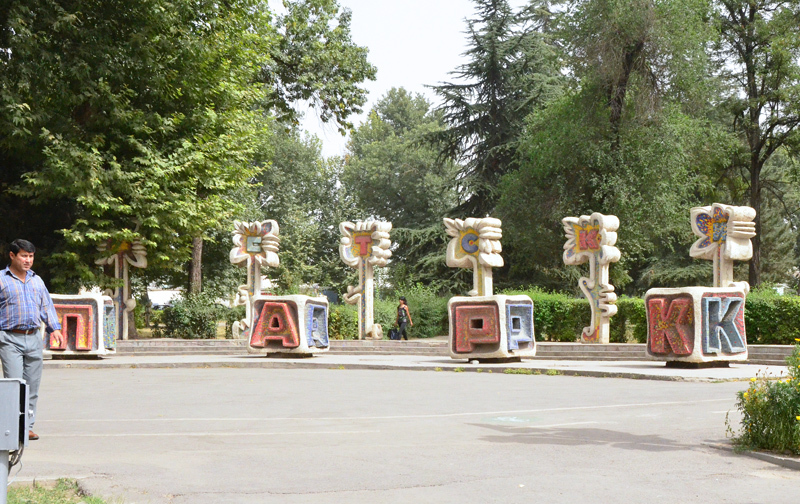 There aren’t that many attractions in Dushanbe. Number 3: The Tajik does not always think like you. It must be getting obvious by now, no? Just be patient, and tell the Tajik a Soviet joke. You might think I’m being too harsh on Tajikistan. Not all my posts will be like this (that’d get old quickly), but let it be known that my traveling companions would be even harsher. While I still want to go back to visit the remote parts of the country, they say nyet. Also, everything I recount here is 100% real. With the question of survival now out of the way, we can start talking next time about food, Lenin, mountain roads, and the world’s worst hotel.